The Janken Tournament is always fun to watch! It’s become a wonderful event with a lot of fanfare. The members have a great time and the fans have a great time. The 33rd single “Heart Electric” was also revealed with Kojima Haruna as center! The match between Yukirin and Mayuyu was one of the main focus of the preliminary rounds. They got slightly different treatment as they both got to say something prior to the match. Sadly, Yukirin lost in 5 seconds. lol Mayu’s cosplay was great, I loved Yukirin’s reaction to Mayu’s blown kiss. September 19th was the first day of filming for the drama “Yorozu uranai dokoro onmyoya e youkoso”. The official twitter for the drama, https://twitter.com/onmyoyayoukoso, tweeted in the morning that they are filming on set, at a Izakaya (Japanese style bar). During the Janken Tournament, during the FujiTV broadcast, Yukirin was talking to Miichan and Sayanee and she mentioned she will start filming tomorrow so I figured she was likely part of that scene. Later in the day, Yukirin blogged about cranking in! Another member of the cast, Miyakawa Ichirota, also blogged about the crank in day. The drama announced another big name joining the cast, Ryotaro Sugi. It’s his first time appearing in a weekly modern drama in 33 years! He plays the owner of the izakaya called “狐火” (kitsunebi). 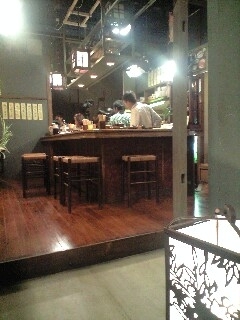 It seems the izakaya will be a regular set for the drama. Ichirota mentioned Yukirin was there. Osawa-san g+ that Yukirin’s official site has been renewed to feature “Birthday wedding”. Birthday wedding will also be the ending theme to Fuji TV’s variety show “Uchikuru! ?” in October. Yukirin will be on the cover of Young Jump on sale on Sept 26. Yukirin will be on the cover of 10 magazines this time around~ Wohoooo! 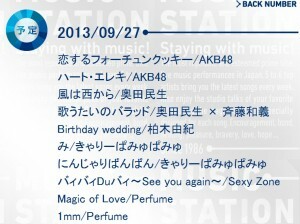 Yukirin will also be appearing on Music Station next Friday, it’s a 3hr SP. AKB48 will also be performing Koisuru Fortune Cookie and Heart Electric. its ok to empty my wallet, as long i can get real quality of an IDOL.